As sperm swim they transform chemical energy into motion, the way a car’s engine uses gas to propel you down the road. Like that engine, the process is complicated—if just one part stops working, the whole system can grind to a halt. This idea might lead to a contraceptive for men that’s reversible. 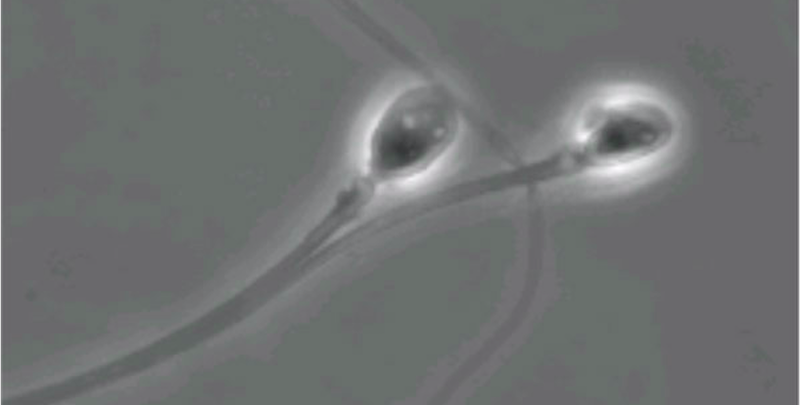 In a study appearing in Science this week, a team led by Haruhiko Miyata of Osaka University demonstrates that disabling one protein on a sperm cell’s tail—a sperm-specific form of the enzyme calcineurin—can make the tail too stiff to swim effectively. What’s more, we already have two drugs that suppress calcineurin function: cyclosporine A and FK506, both of which are used to suppress immune reactions in organ transplant patients. Treating male mice with either of these drugs made them infertile, but the mice regained fertility just a week after they were taken off the drugs. Researchers still need to figure out whether these drugs affect human sperm the same way, and find out whether it’s possible to make a version of either drug that doesn’t affect the immune system. In short, it’ll be a while before we know whether these findings can be parlayed into a contraceptive pill for guys. But at least we know it’s possible in theory.